Express will be shooting its latest advertising campaign centered on a live, high end Runway Show near Monterey Square this Friday. The event is free and open to the public and the more people that show up the better Savannah will look! 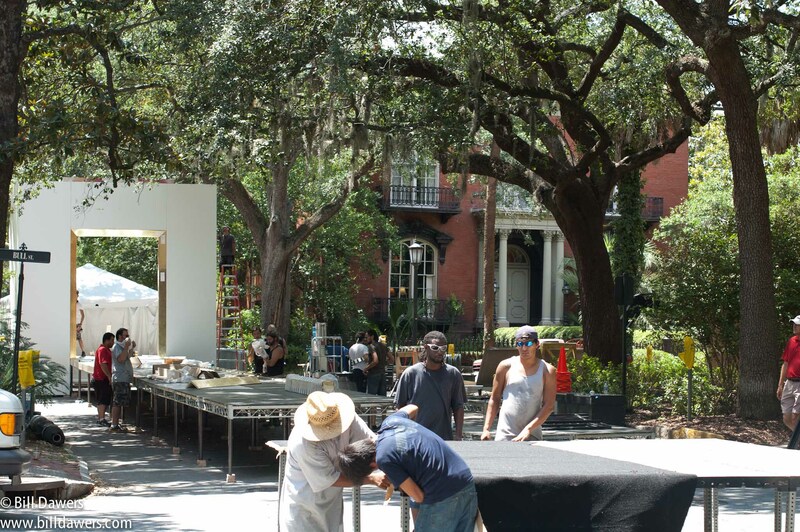 This campaign will showcase Savannah through national commercials and catalogue distribution into 12 million US homes. Where: Monterey Square (Bull and Gordon) / When: Friday, July 13th from 6:30-7pm / Why: See a high end runway show with top models, support your community and enjoy free refreshments and giveaways! They’re inviting the public to crash this party, called Rock the Sidewalk. The Savannah show, which starts at 6:30 p.m., will be different. Though it will feature a bevy of international talent and the debut of Express’ men’s and women’s holiday line, Savannahians will be invited to crowd the stage as the models strut their looks. Similar events in Las Vegas, Miami, Times Square and Chicago have drawn public turnout in the thousands. Click here to go directly to a slideshow of 16 models — both women and men — who are slated to be part of the show. I didn’t know anything about this event until seeing a Facebook post early this morning, and I certainly had no idea that the crews would be out there today (Tuesday!) prepping for an event on Friday. This thing is going to be big, but there won’t be room for the thousands that allegedly attended similar events in other cities. The runway will be along Gordon Street near the Mercer-Williams House and in front of Alex Raskin’s antique store. ← What do Mary Matalin, James Carville, Cokie Roberts, Archie Manning, Wynton Marsalis, Archbishop Gregory M. Aymond, and three college presidents have in common?